Top de punto elástico canalé y tirantes anchos cruzados en espalda. Bandas decorativas zona frontal y trasera. 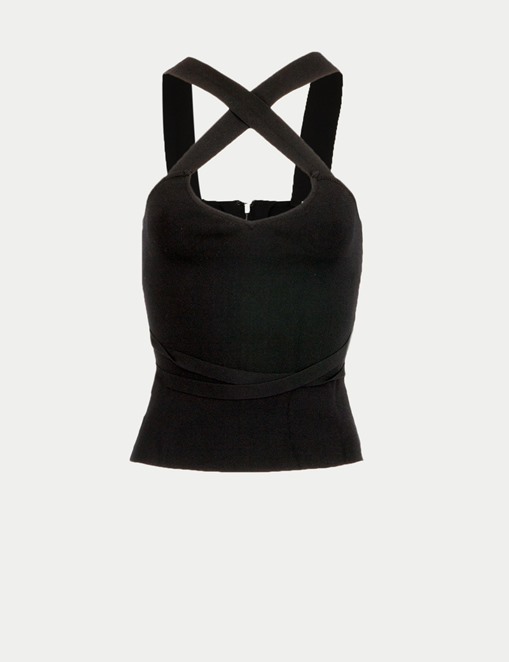 Stretch knit top with back crossed straps. Embellishing front and back bands.